Omra’s white 'Milan' blazer is the label’s take on a classic style. 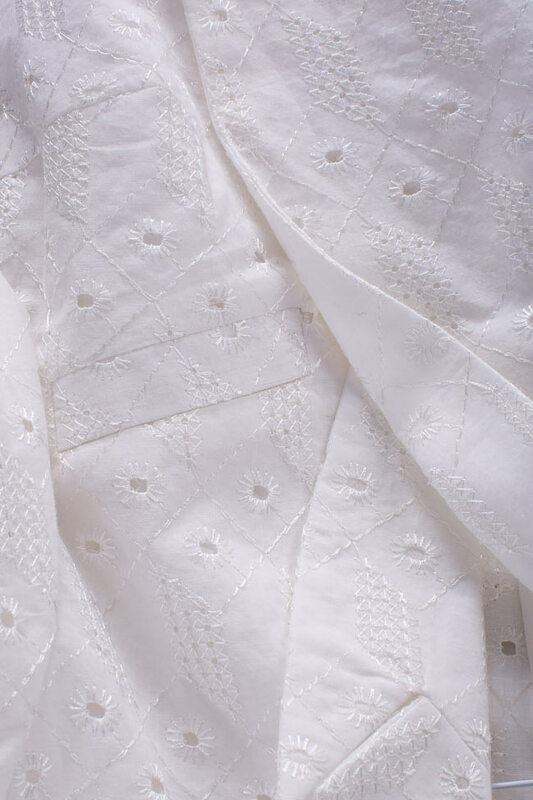 It’s made from cotton with pretty broderie-anglaise panels and cut to a cropped shape. With a white silk camisole peeking through the eyelet details and the matching pants, it'll telegraph a breezy sense of charm.